The south-east corner of the Bank is shown with variant attics. 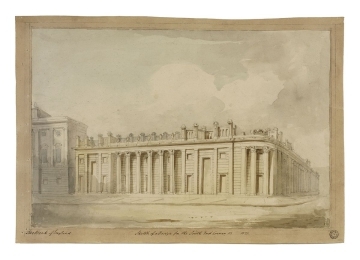 The east end of Threadneedle Street has a blind portico with six Corinthian columns in antis between blind Vitruvian doors. As in earlier drawings, the entrance building is shown unaltered.